With the dramatic developments in Egypt over the last month, Turkey has fallen out of the news even though it has been an eventful summer along the Bosphorus. The opposition to Prime Minister Recep Tayyip Erdogan that began after authorities tried to clear Istanbul’s Gezi Park in late May has proven more durable than virtually everyone predicted. The government has responded to this political turbulence with a variety of coercive measures making Erdogan’s illiberal turn appear to be downright authoritarian. At the same time, Ankara’s strategic position in the Middle East continues to crumble. The prime minister’s reaction to Egypt’s July 3 coup d’état may be principled, but his harsh and oddly emotional rhetoric has alienated yet another important Middle Eastern country. In an irony of ironies, the Egyptian press recently reported that if Erdogan makes a much-delayed visit to Gaza in late August, he will have to do it through Israel. That makes Israel, Egypt, Saudi Arabia, and Iraq the major regional powers with whom Turkey is at odds. If all this was not enough, earlier this week a Turkish court handed down verdicts in the controversial “Ergenekon case,” which is sure to roil Turkish politics further. There is not much discussion of the verdicts here in Washington. The Washington Post ran an AP story about the case on Monday, but nothing since. The White House has been silent. Marie Harf, a State Department spokesperson, offered an anodyne comment about Turkish law permitting appeals and (groan) “watching the process.” It is August, and maybe people in Washington care more about getting a reservation at State Road than high policies of state. Maybe officials believe that Washington needs Ankara on a variety of important issues (though I can only think of Syria) so it’s not in anyone’s interest to upset Erdogan. Maybe it is hard to get the administration and Congress riled up over a case that at one time promised to uproot Turkey’s deep state and the dark underside of the country’s national security establishment. 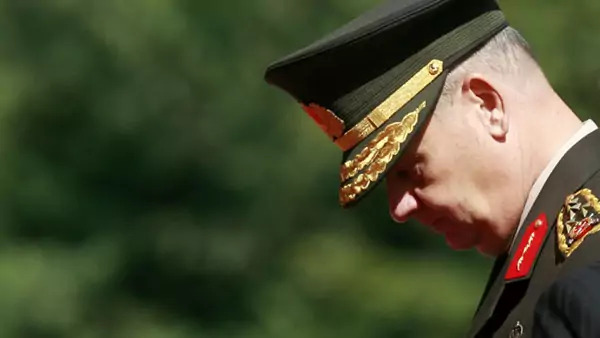 Even so, there are aspects of the Ergenekon case that are troubling even if one quite rightly believes that the Turkish military has historically been a force of authoritarianism and repression. Just to review. In June 2007, Turkish police discovered a cache of 27 hand grenades on the roof of a building in the Istanbul neighborhood of Umraniye. The explosives were linked to a non-commissioned officer in the Special Forces named Oktay Yildirim. He was subsequently connected to other officers (retired and serving), members of criminal gangs, ultranationalists, and intelligence officers ultimately numbering about 300 people. It seemed that the Istanbul cops had uncovered Turkey’s mythical and much discussed “deep state” red-handed trying to sow violence in Turkey’s streets in an effort to bring down Prime Minister Erdogan and his Justice and Development Party (AKP). The Ergenekon organization was subsequently alleged to have been responsible for a 2006 attack on the Council of State, played a role in the murder of prominent Armenian-Turkish journalist, Hrant Dink, and various other murders and plots. Turkish liberals were delighted. Until that time, Erdogan had practiced a pragmatic, reformist, consensual style of politics that made many (though not all) Turkish democrats and most foreign observers swoon. For Turkish liberals and their friends abroad, prosecuting members of Turkey’s deep state and in the process helping to bring the Turkish military to heel would be an important step in the country’s transition to democracy. In time, however, Turkish liberals started having second thoughts about what was then the Ergenekon investigation. Erdogan began to use Ergenekon against his political opponents. The conspiracy became a conspiracy within a conspiracy. Along with military officers, journalists, academics, politicians and other critics were hauled off to Turkish jails and detained indefinitely while state prosecutors conducted investigations. In 2008 and 2009, Turks were in a panic that the government was listening in on their telephone conversations and that everything they said would be used against them. People began taking the batteries out of their mobile phones in certain situations or leaving them outside meetings rooms. It actually became kind of “a thing” after a while. If you were not ostentatiously removing your cell phone battery while sitting down for a meal at House Café in Ortakoy, you were clearly not all that important. Then in early 2010, state prosecutors launched a related investigation directly into the military over what was called “Operation Sledgehammer,” which was believed to have been plans for a coup d’état in 2003 that then Chief of the General Staff, Hilmi Ozkok, stopped. Given the military’s history of coups (1960, 1971, 1980, and 1997) as well as various other routine interventions to ensure the republican political system that Mustafa Kemal founded in 1924, the accusation that the senior command was plotting to overthrow Erdogan seemed entirely plausible. At the time, Washington yawned and regarded rooting out coupsters within the ranks was yet further testament to Erdogan’s efforts to create a more democratic polity. It was clear to some analysts well before, but by late 2010 and 2011 it was obvious to virtually everyone paying attention that the investigations were much bigger politically. The conduct of the inquiries, the quality of the indictments, and the profile of people who were being detained in the Ergenekon and Sledgehammer investigations after the initial discovery of weapons in Umraniye together became even more ambitious and cynical than the already bold effort to undermine the deep state. Many in Turkey—including the media—and foreign analysts have either decided to look the other way or determined that Erdogan and the AKP were so entrenched that there was little to be done, but much of the evidence contained in the ludicrously long and incomprehensible indictments in both cases was clearly fabricated. In the Sledgehammer investigation, the government’s case was based on a single CD (among a set of 19) that came to light in January 2010. The CD allegedly contains incriminating evidence of the plot to overthrow Erdogan. Yet forensic analysis of the CD indicates that the information on it was created after the coup was supposed to have taken place. The courts ignored this devastating evidence of government malfeasance and last year 322 military officers were sentenced to prison, some for as long as twenty years. Similar kinds of chicanery went on in the Ergenekon case, leading to this week’s verdicts that sent former Chief of Staff, General Ilker Basbug, and ten other retired officers to prison for life. All in all, approximately 250 people (of 275 indicted) were found guilty and sentenced to various terms behind bars. They include journalists, doctors, politicians, and academics. Regardless of what one thinks of the views of those convicted in the Ergenekon (and Sledgehammer) case, they deserve due process—a hallmark of democratic polities. They did not get it in Turkey.